I haven’t posted much at all this past year due, but I’ve been working on some stuff that I’m really excited about! For the past year and a half, I’ve been building a new, much more advanced version of Takua Render completely from scratch. In this post, I’ll give a brief introduction and runthrough of the new version of Takua, which I’ve numbered as Revision 5 or a0.5. 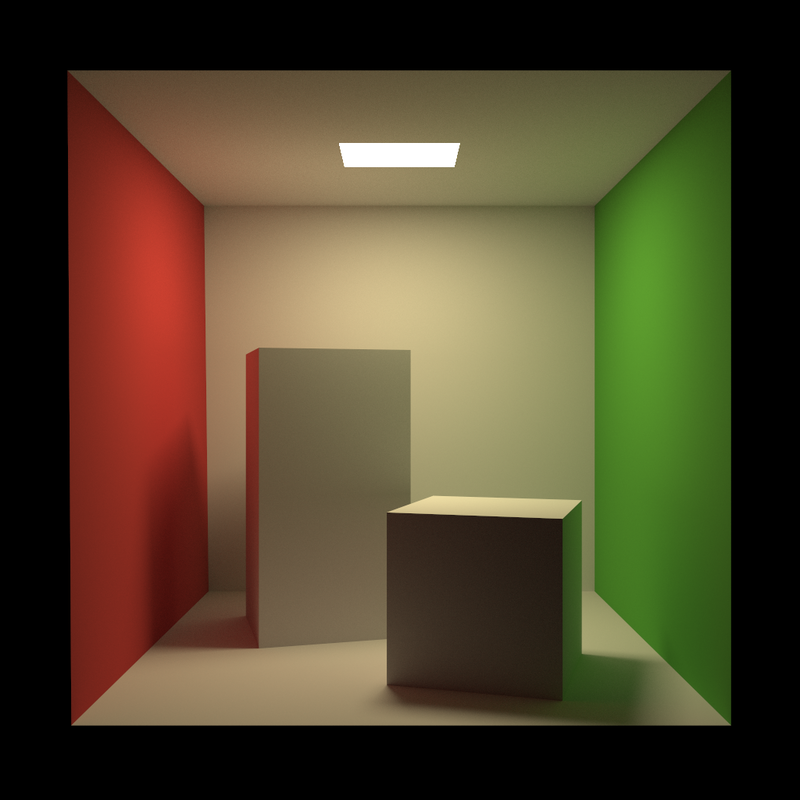 Since I first started exploring the world of renderer construction a few years back, I’ve learned an immense amount about every part of building a renderer, ranging all the way from low level architecture all the way up to light transport and surface algorithms. 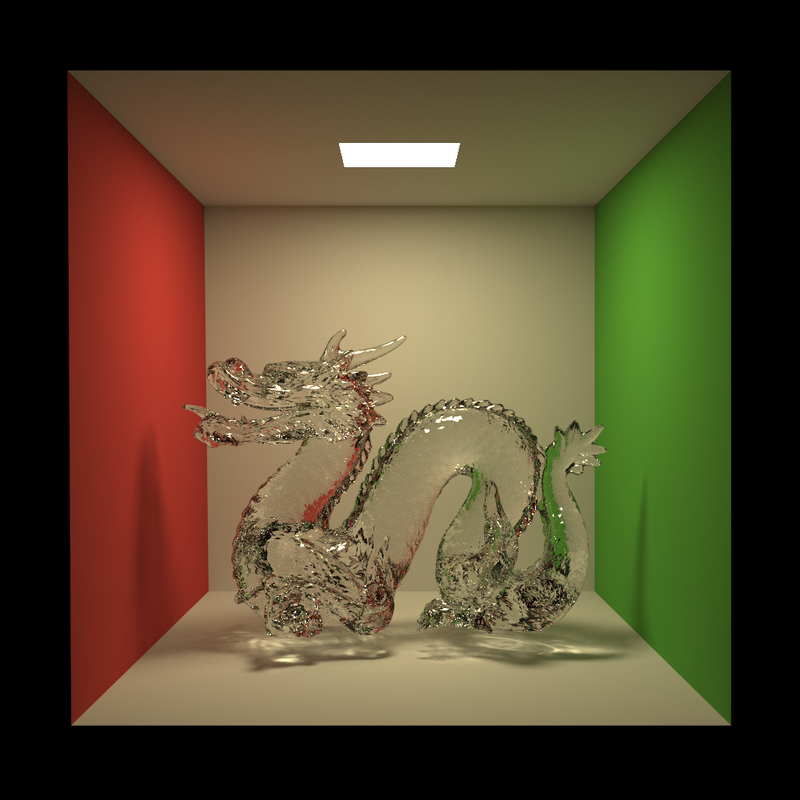 I’ve also been fortunate and lucky enough to be able to meet and talk to a lot of people working on professional, industry quality renderers and people from some of the best rendering research groups in the world, and so this new version of my own renderer is an attempt at applying everything I’ve learned and building a base for even further future improvement and research projects. Very broadly, the two things I’m most proud of with Takua a0.5 are the internal renderer architecture and a lot of work on integrators and light transport. 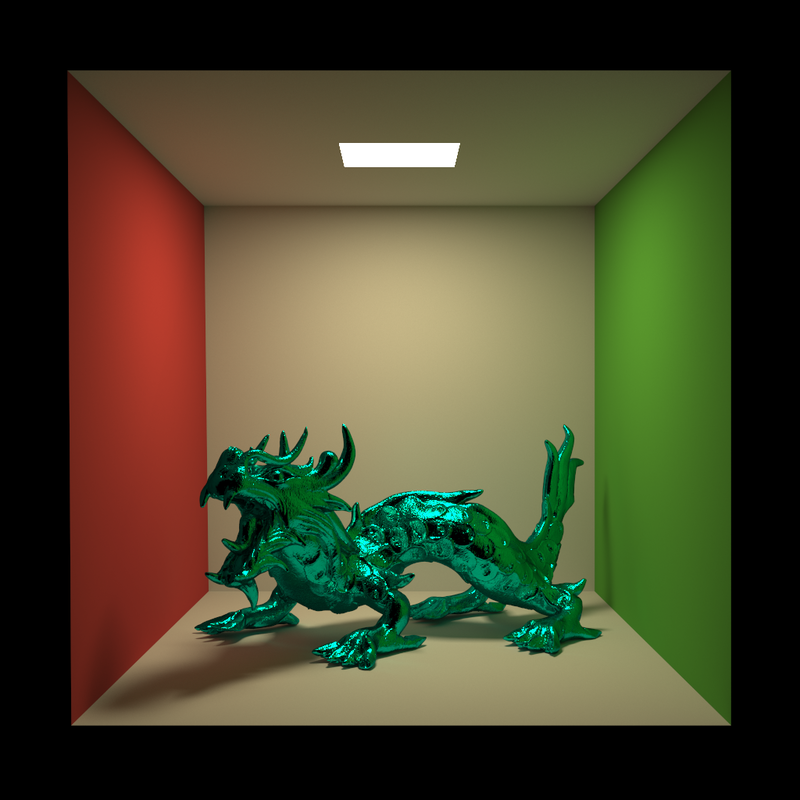 Takua a0.5’s internal architecture is heavily influenced by Disney’s Sorted Deferred Shading paper, the internal architecture of NVIDIA’s Optix engine, and the modular architecture of Mitsuba Render. 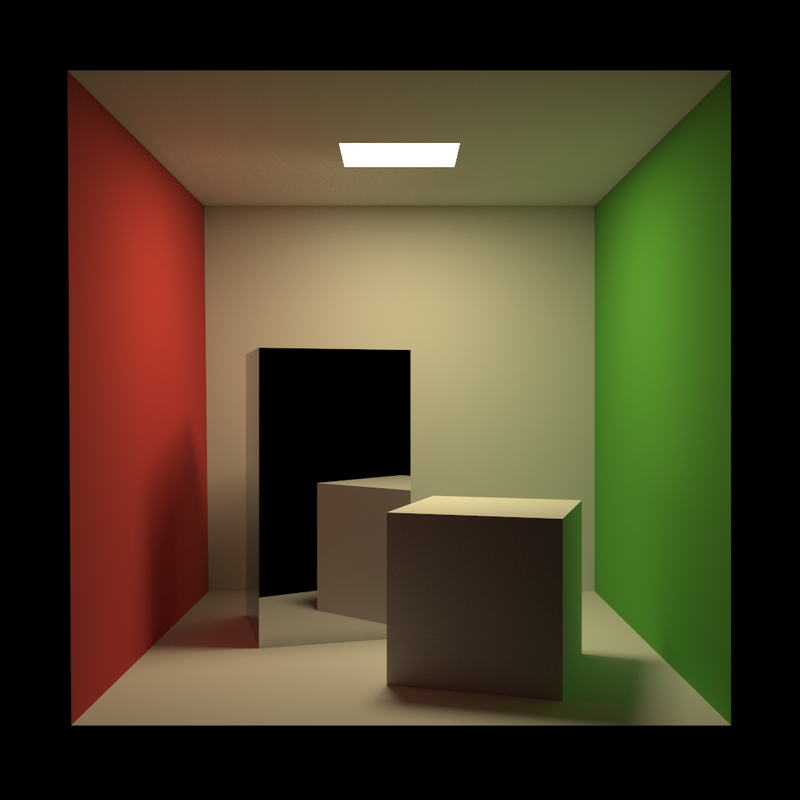 In the light transport area, Takua a0.5 implements not just unidirectional pathtracing with direct light importance sampling (PT), but also correctly implements multiple importance sampled bidirectional pathtracing (BDPT), progressive photon mapping (PPM), and the relatively new vertex connection and merging (VCM) algorithm. I’m planning on writing a series of posts in the next few weeks/months that will dive in depth into Takua a0.5’s various features. Takua a0.5 has also marked a pretty large shift in strategy in terms of targeted hardware. In previous versions of Takua, I did a lot of exploration with getting the entire renderer to run on CUDA-enabled GPUs. In the interest of increased architectural flexibility, Takua a0.5 does not have a 100% GPU mode anymore. Instead, Takua a0.5 is structured in such a way that certain individual modules can be accelerated by running on the GPU, but overall much of the core of the renderer is designed to make efficient use of the CPU to achieve high performance while bypassing a lot of the complexity of building a pure GPU renderer. Again, I’ll have a detailed post on this decision later down the line. 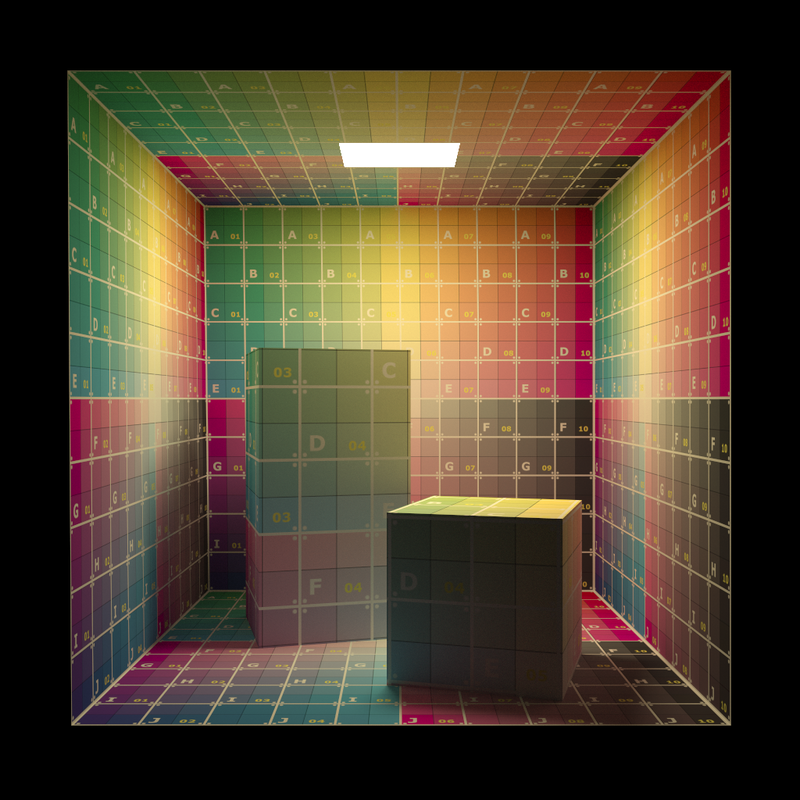 Plugin systems for cameras, lights, acceleration structures, geometry, viewers, materials, surface patterns, BSDFs, etc. 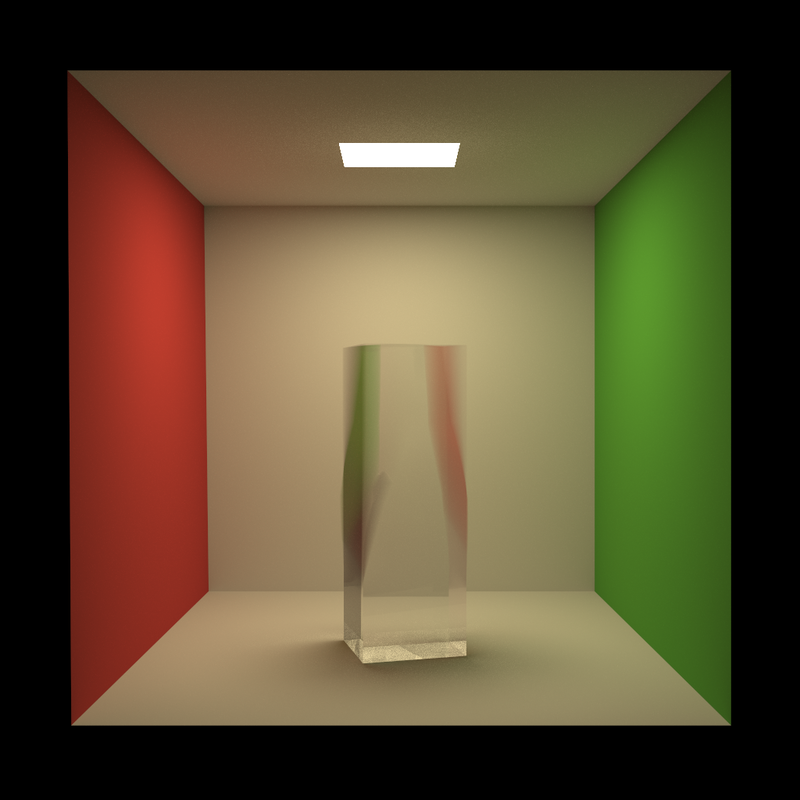 More interesting non-Cornell Box renders coming in later posts! Edit: Since making this post, I found a weighting bug that was causing a lot of energy to be lost in indirect diffuse bounces. I’ve since fixed the bug and updated this post with re-rendered versions of all of the images.